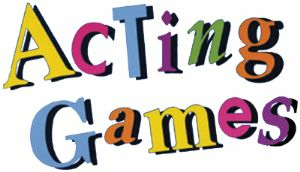 Teachers love this four-section book of acting games and improvisations which assist students in developing their creative abilities. Section One includes games for relaxing and focusing. Section Two helps students discover new ways of seeing themselves, others, and the world around them. The third section demonstrates with improvisations how to use space to build scenes and create characters from imagination. Section Four features acting games to analyze and portray original characters as well as ones from existing plays. For everyone, all of the essential elements of acting and character development are explored. This is truly a working textbook for acting students of all ages. Select from more than 134 games adaptable to all age groups. Within the book’s 30 units are 74 lessons covering all elements of drama. For teachers everywhere, this is a handbook of over 140 theatre games designed to stimulate creativity in students of all ages. All of the essential elements of acting and character development are explored.